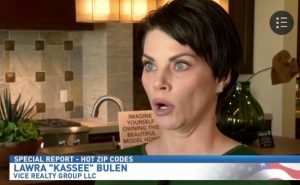 An ethics complaint was filed this week with the Great Las Vegas Association of Realtors against Lawra Kassee Bulen, who recently appeared on a local Las Vegas News on Channel 3 NBC representing herself as a Real Estate “Expert” when in fact she never sold a single house in Nevada since obtaining her Real Estate License less than a year ago. REALTORS® shall not advertise nor permit any person employed by or affiliated with them to advertise real estate services or listed property in any medium (e.g., electronically, print, radio, television, etc.) without disclosing the name of that REALTOR®’s firm in a reasonable and readily apparent manner. 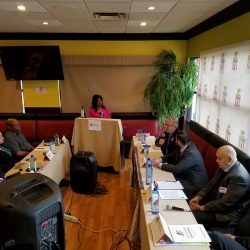 Republican Candidate for Clark County Public Administrator Thomas Fougere retained Bulen Strategies owned and operated by Kassee Bulen to manage his campaign. 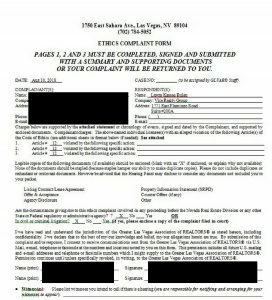 But according to the Nevada Secretary of State’s official website and Clark County business records Kassee Bulen’s company, Bulen Strategies, is not a licensed lawful business in the state of Nevada. This calls for Fougere decision making into question.